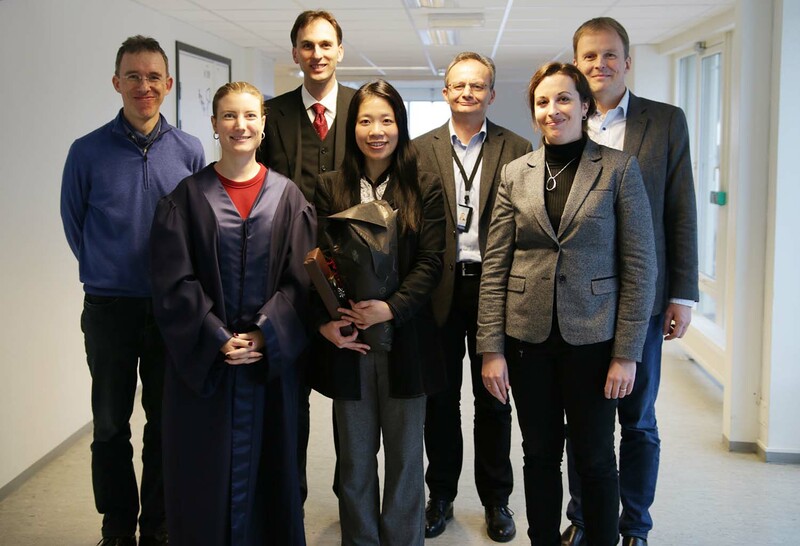 Yi-Ching Liao successfully completed her PhD trial lecture and thesis defense at the Norwegian University of Science and Technology on Friday, the 16th of December 2016 and will be awarded the degree of Doctor of Philosophy. The title of her thesis is “Process Tracking for Forensic Readiness” and the given topic for her trial lecture was “Search Algorithms for Intrusion Detection”. Liao has looked at how companies can collect and preserve potential evidence in advance if they were to experience a cyber attack. Perpetrators need access to system resources to commit cybercrime. Liao has researched opportunities for companies to keep low-level operating system logs. She has found ways that a company can preserve reliable evidence and thus be prepared for a possible digital investigation. First external opponent: Professor Felix Freiling, Lehrstuhl für Informatik 1, Universität Erlangen-Nürnberg, Germany. Second external opponent: Junior Professor Delphine Reinhardt, Institute of Computer Science, Rheinische Friedrich-Wilhelms, Universität Bonn, Germany. Internal opponent: Associate Professor Stefan Axelsson, Faculty of Computer Science and Media Technology, NTNU in Gjøvik. Administrator for the assessment committee: Professor Slobodan Petrovic, Faculty of Computer Science and Media Technology, NTNU in Gjøvik. Head of section Laura Georg, Faculty of Computer Science and Media Technology, NTNU in Gjøvik, led disputation. Yi-Ching Liao carried out her PhD work at the Faculty of Computer Science and Media Technology, NTNU. Her supervisor was Professor Hanno Langweg, Faculty of Computer Science and Media Technology, NTNU in Gjøvik and Co-supervisor was Professor Katrin Franke, Faculty of Computer Science and Media Technology, NTNU in Gjøvik.